The drama heats up, both on and off the volleyball court, as the rivalry between teammates Shoyo Hinata and Tobio Kageyama continues to develop in new and unexpected ways. 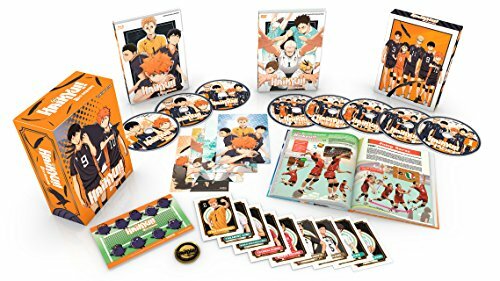 After the team's dramatic setback in Inter-High Preliminaries, Karasuno gets the unexpected opportunity to go to a training camp in Tokyo alongside other top schools in the nation... including their rival team, Nekoma! In order to attend, though, the dynamic duo must pass their exams, and getting Hinata and Kageyama through that challenge will be the trial by fire for Hitoka Yachi, who could be joining Kiyoko Shimizu as a team manager. With the eyes of their opponents fixed on their progress, will it be the spark needed to get the team moving in the right direction? Passions burn, and tempers flare as the fuse is lit for HAIKYU!! SEASON 2! If you have any questions about this product by Section23 Films, contact us by completing and submitting the form below. If you are looking for a specif part number, please include it with your message.